We’re now in our second year of the new Medicare surtaxes. If these surtaxes affect you, we will help you develop a tax plan to take them into account and keep them to a minimum. To help minimize the surtax on earned income, try to defer excess discretionary earnings (such as commissions or bonuses) to a lower-income year. If you are self-employed, consider maximizing payments of deductible expenses in high-income years while deferring late-year customer billings to the following year. Think about increasing your withholding or quarterly estimate payments to cover any additional liability. 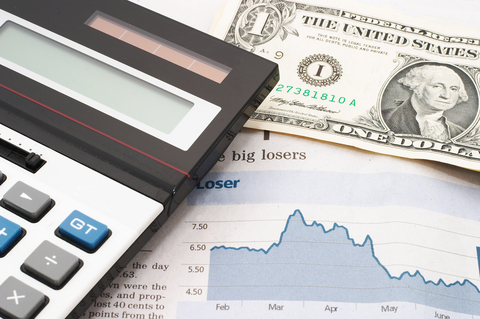 Consider liquidating depreciating stocks to offset capital gains. Shift some investments to tax-deferred annuities, municipal bonds, or other vehicles that don’t generate taxable income. Maximize deductible contributions to traditional IRAs, 401(k) plans, or similar sheltered investments. Their earnings are excluded from NII, and the contributions reduce your MAGI. Donate appreciated stocks to charities rather than selling them. 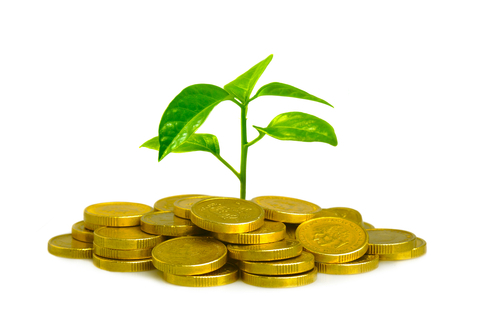 Try to make otherwise taxable investments through a Roth IRA. The earnings won’t be part of NII, and subsequent tax-free withdrawals won’t count toward the thresholds. Summertime is the traditional season for weddings. If you’re planning a wedding this summer, you should take a look at how marriage could affect your tax bill. Marriage: Tax Penalty or Bonus? The so-called “marriage penalty,” is the term applied to the amount of additional taxes some couples pay after they marry. If you and your spouse earn similar amounts of income, you may pay more tax as a married couple than each of you would as single individuals because your joint income pushes you into a higher tax bracket. Other provisions that can create a marriage penalty include phase-outs of personal exemptions and itemized deductions. The new Medicare taxes can create a penalty because the threshold for applying them is $200,000 for singles and $250,000 for couples filing jointly. If one spouse has a retirement plan at work and the other contributes to an IRA, you may not be able to deduct the full amount of your IRA contributions after you’re married. 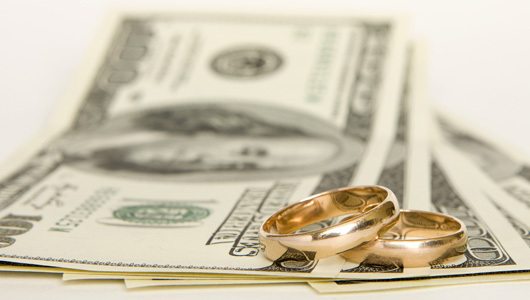 The tax code can also create “marriage bonuses” which are situations when tax liability can decrease after you marry. For example, if only one spouse has income, the wider brackets for marrieds at certain tax rates will give the couple a lower tax bill than paying as a single on the same amount of income. Other marriage bonuses: A wage-earning spouse can make an additional IRA contribution for a nonworking spouse, and married homeowners get double the $250,000 gain exclusion when they sell a home. What to do: Analyze the benefits of potential current income tax savings against your future goals. For example, plans for distributing corporate income or selling the business have tax consequences that will affect your decision. Midyear planning is critical to individuals, as well as businesses. There’s enough of the year behind you to establish a track record and enough time ahead to make changes that matter. 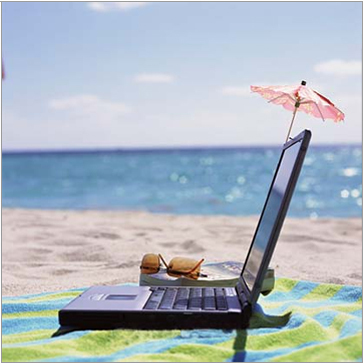 Summer: the season for sun, sandals, and tax planning. Kick back in your lounge chair and review the following suggestions for easing your 2014 federal income tax bill. 1. Bump up pre-tax retirement plan contributions. Elective contributions – the ones you ask your employer to withhold from your paycheck – reduce current-year taxable income. Compare the amount you’re presently depositing in your account to the maximum allowed, and make adjustments now to spread the impact over the rest of the year. ​The maximum 401(k) contribution for 2014 is $17,500. If you’re 50 or older this year, add an additional $5,500. ​2. Open an education savings account. There is not a federal tax deduction for contributions to a 529 education plan. However, if you are currently setting aside money to pay for your child’s college espenses in a taxable account, you could open a 529 plan instead. Earnings on plan assets grow tax-deferred and can be tax-free when withdrawals are used for qualified education expenses. 3. Reset basis with capital loss carryfowards. Would you benefit from selling an appreciated stock and using your loss carryforward to shelter the income? Planning point: Reacquiring the stock immediately after selling at a gain doesn’t incur the wash sale rules. At the same time, you get an increased basis to offset future gains. 4. Hold off on retirement plan withdrawals. In the early years of retirement, withdraw funds from taxable accounts in the most tax-efficient manner possible. 5. Plan for required minimum distributions. What do you intend to do with the funds you’re required to take from retirement accounts once you reach age 70½? Tax-efficient investing strategies can reduce the tax on the income you earn on the distributed amount. Broaden your tax-planning focus to include family members. ​For instance, say your parents or children are in a lower tax bracket than you are. Employing them in your sole proprietorship can provide net tax savings. 7. Gifting offers similar benefits. For 2014, gifts under $14,000 qualify for the annual gift tax exclusion. 8. Track passive activity losses. Make sure you’re on track to meet the active or material participation rules for your real estate rentals and other passive activities. The requirements vary, but generally you must be involved in the activity in a material way, and you must have evidence proving your involvement, such as a logbook. 9. Know the alimony rules. If you are already paying alimony or finalizing a divorce that will result in alimony, be sure you’re following the rules so you can claim a deduction. Among other requirements, payments must be made to a former spouse in cash under a divorce or separation decree, and must cease upon the recipient’s death. You’ve heard it before: Recordkeeping is essential. ​Examples of tax breaks that may be disallowed if you cannot provide proof include: charitable contributions, gambling losses, vehicle costs, and travel and entertainment expenses. ​If you neglected to start tracking these expenses at the beginning of the year, get going now. Keep your college student qualified as your dependent by monitoring the “support” test. The rule: Generally, your child cannot provide over one-half of his or her own support during the year. Other relatives may qualify as your dependents, including parents in nursing homes. Update your withholding or estimated tax payments in light of life changes such as marriage, divorce, or starting a new business. Overpaying your 2014 tax reduces your available cash flow. Underpaying your 2014 tax can lead to penalties and interest. ​13. Review health insurance subsidies. Premium tax credit – a refundable credit that reduces the premium you pay for a health policy purchased on a government exchange. If you elected to have the credit applied to your premium and your 2014 income is higher than you expect, you may have to pay back all or part of the credit. 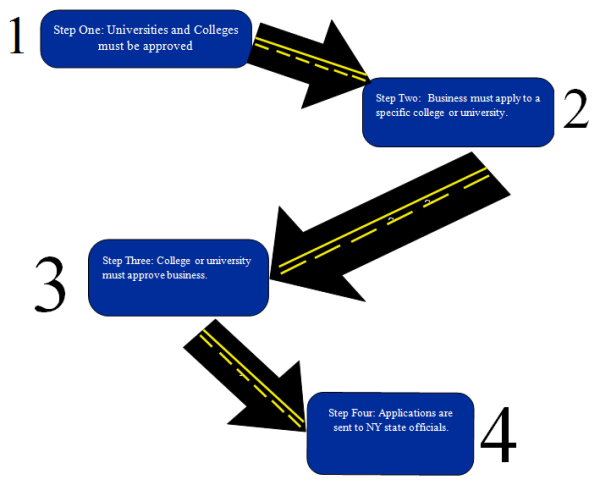 The first step in the process comes from the Universities and Colleges; they must apply to New York State and receive approval. Once they have been approved, the business must apply to the approved University or College. After this, the University or College must approve the business. However, we have been told that businesses with over 100 net new jobs may deal directly with New York State Empire Development and bypass these past two steps. In the final step the approved application needs to go on to New York state officials. New York State will help any interested businesses in finding an approved University or College. Watch Jack Craven on AriseTV! Startup New York is a program that offers tax-free incentives to start up companies in New York State. Jack Craven has been interviewed on AriseTV’s business news show Xchange to discuss this program. Watch Jack as he discusses the program in more detail. The rules are new and appear to be complicated. We can help. We have prepared a 10-page guide to help you understand the benefits and how to qualify. Please click on the following link in order to obtain the guide. PS We love working with Startups! Please feel free to contact us at (212)605-0276 or jfcraven@MediaCPAs.com. We are happy to help with any questions that you may have. March 19, 2014 by admin · Comments Off on Watch Jack Craven on AriseTV!